The long rumored, much-talked-about, but never seen “cruise from hell” from The Real Housewives of New York City did happen -- and will be making its way to your TV screens very, very soon. 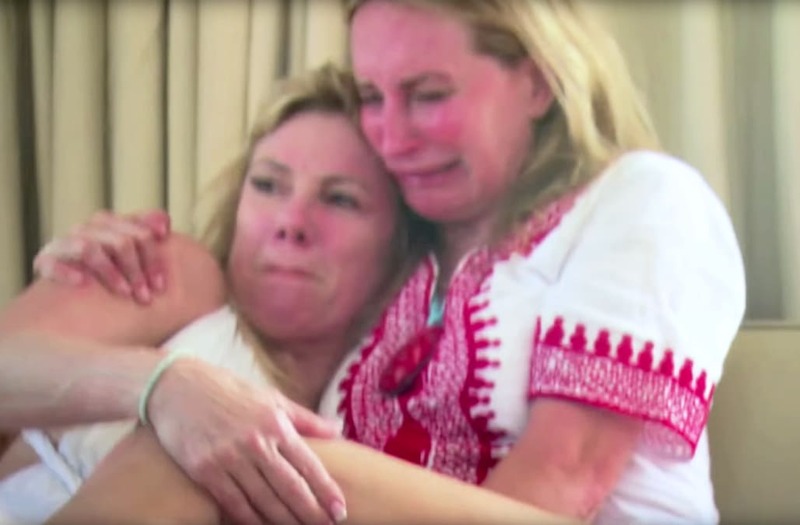 In the just-released midseason trailer for season 10, the ladies -- Luann de Lesseps, Ramona Singer, Bethenny Frankel, Carole Radziwill, Sonja Morgan, Dorinda Medley and Tinsley Mortimer -- journey to Cartagena, Colombia, for their all-cast trip and, well, things don’t go as planned. “I can’t imagine anybody having the most amazing time in this town,” Tinsley remarks in a confessional, somewhat ominously. While the trip does start off on a fun note (Luann sports a long blonde wig and Ramona gets stuck in an elevator), things quickly take a turn. Bethenny appears to come down with food poisoning and dubs the trip “the worst vacation ever,” which is only exacerbated by her continued fighting with Carole. At one point, Carole says she doesn’t even want to look at Bethenny anymore. On top of that, Dorinda and Luann’s friendship appears to fall apart, with Dorinda making low blows about Luann’s arrest. Dorinda previously described the boat trip as “not a great situation” and not “a positive experience.” At the time of the cruise, reports surfaced alleging details including an engine on fire, a missing anchor and even water flooding the vessel. RHONY executive producer Andy Cohen, however, told ET the reports “grossly misrepresented” what actually went down. The back half of season 10 will also see the mostly single cast embark on group speed dating and give fans a behind-the-scenes look at Luann’s cabaret show, Sonja's headline-making wardrobe malfunction included. Stay tuned to The Real Housewives of New York City every Wednesday at 9 p.m. ET on Bravo to watch it all unfold.